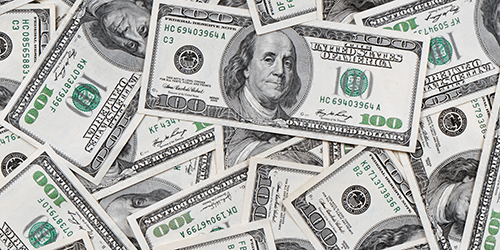 High cable costs are the single biggest factor driving the cord cutting trend. So you would think that cable companies would want to lower prices to stay competitive – but you'd be wrong. In fact, cable prices have only gone up over the past two decades. Cable prices have risen every year over the past 20 years, and in each year, the rise in cable prices has outpaced inflation. Back in 1995, cable cost an average of just $22.35 a month. Now it's up to an average of $69.03, a 208.9% rise. Inflation alone can't account for nearly so much change, as inflation has changed by just 55.8% over that same period. As you'd expect, the year-by-year data looks similar. On average, cable prices rose 5.8% each year. Inflation rose at an average of 2.2% per year. There were even two years that inflation did not grow (2009 and 2015), but cable prices went right on rising in those years. We took our cable pricing data from a pretty reliable source: the FCC, which released this report on cable prices earlier this month. I question the current methodology for inflation. 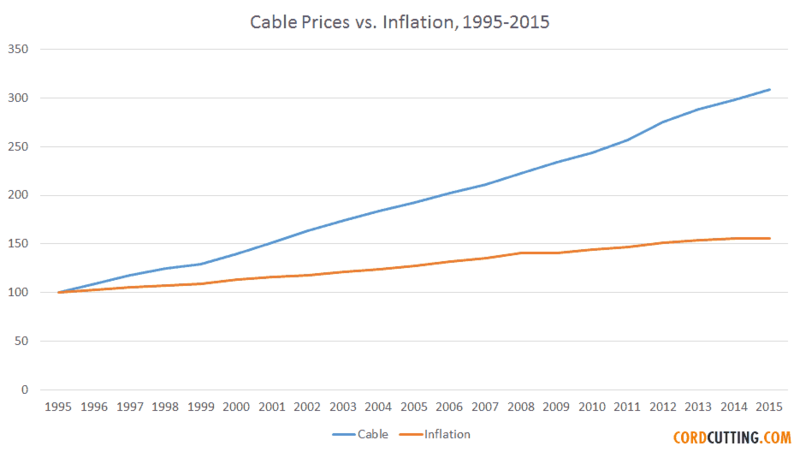 Considering rents, food prices, gasoline since 1995, the cable prices are right in line.